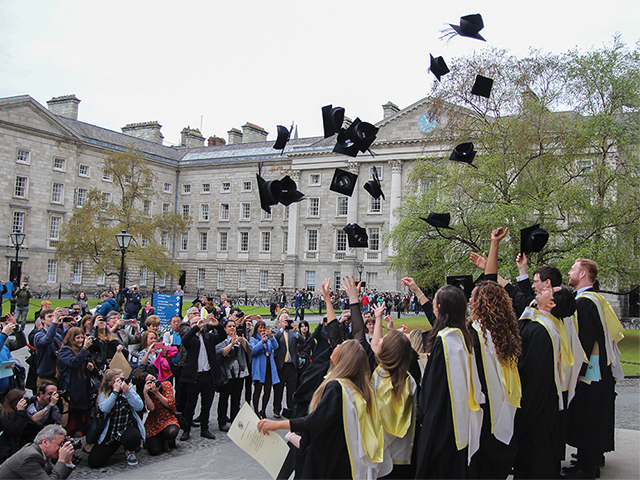 New arts graduates may earn as little as €13,000 a year, according to a HEA report. But most CAO applicants opt for arts and humanities degrees at 22 per cent, while 16 per cent choose science degrees, according to 2012 figures. Arts degrees provide a wide range of skills ranging from critical thinking and psychological understanding to problem-solving, which fill the skills gap in areas of science and technology. They also prove optimal for those who are unsure of which path to take. “An arts degree should be seen as a very valuable stepping stone, which can then be converted, if desired or required, into a masters with a more specific career focus,” says Dr Dervila Cooke, Lecturer in French studies at DCU. Partnering an arts degree with a further specialization proves optimal in acquiring a job. In Trinity College Dublin for example, 12 percent of arts postgraduates are unemployed; compared to 25 percent of science, engineering or maths graduates. The Irish Humanities Alliance underpins the importance of the arts in teaching an emotional understanding and appreciation of cultures – ‘It is music, poetry and dance that are a soul for science’ writes contributor Orlaith McBride. Recent graduate of the BSc in Multimedia at DCU Amy Mahony says that while her degree has a high employability rate for fresh graduates, landing an internship is difficult for those that lack in key skills such as editing and web design. In Amy’s case, the cost of living in Dublin paired with the lack of job prospects for media-related public relations at the time of graduation prompted a move to Taiwan. She currently teaches English at a kindergarten level, earning enough to live comfortably and have pay left over each month. Graduate of the BA in Communications, Aisling Loughlin emphasises the importance of excelling in extracurricular work during college to obtain first-hand experience early. “I got my job out of an internship I did while I was in college … I chose it [the BA in Communications] because I knew it did allow for a lot of extracurricular work,” she said.